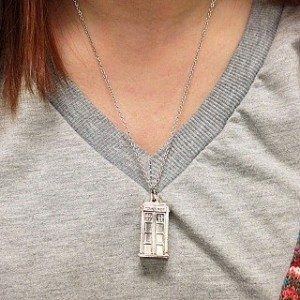 Cute Doctor Who Necklace Only $7.99 Shipped! You are here: Home / Great Deals / Cute Doctor Who Necklace Only $7.99 Shipped! Don’t miss out on this adorable piece perfect to give as a gift to your favorite Whovian! Cute Doctor Who Necklace Only $7.99 Shipped! Grab this for yourself, a friend or a few to give out as gifts this year. Wear it with pride! Check out 13 Deals for all the great daily deals on everything from socks to luggage!